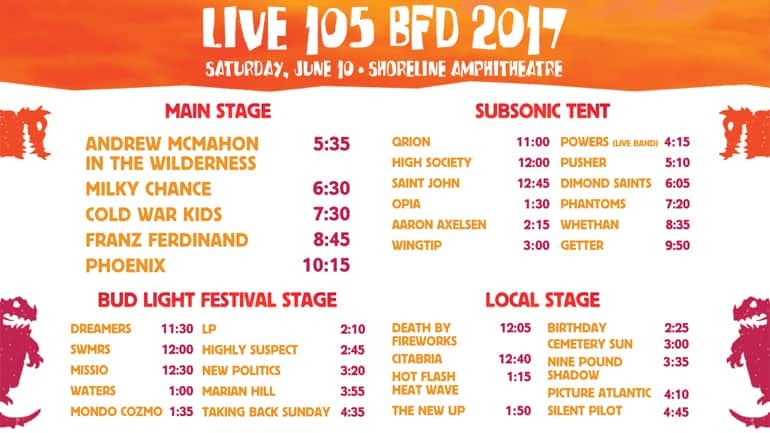 Live 105’s BFD is back with another amazing lineup with Phoenix, Franz Ferdinand and Cold War Kids at the top of the lineup. Need a ride to the show? Grab a round-trip party bus ride on the M Ride Shuttle! If you haven’t gotten your tickets yet, CLICK HERE to grab ’em before they are gone.